Enerpac (A Division of Actuant Corp) is offering free safety audits of hydraulic equipment following the floods in Queensland, Victoria and parts of NSW. 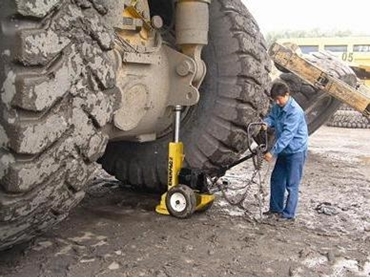 One of the world’s largest high-force tool suppliers, Enerpac is offering specialised services to its customers to ensure safe and trouble-free operation of their hydraulic equipment. Enerpac National Sales Manager Phil Dorahy expects hydraulic tools designed for jobs such as lifting, pumping, cutting and bending to be employed extensively in the aftermath of the floods. He says that the hydraulic tools and equipment must be examined completely before use to check for damage, adding that Enerpac’s Australia-wide team of sales and technical specialists supported by a national network of authorised service agents can assist with the rapid clean-up and re-establishment of customers’ operations. Enerpac has communicated the offer for free safety audits to its extensive customer base in industries such as building and construction, road and rail heavy transport, manufacturing, mining and petroleum as well as electrical generation, distribution and maintenance. Enerpac is making available its personnel to conduct on-site audits and inspection of the customer’s hydraulic tools and equipment so that any damage that has occurred is identified and appropriate remedial action is taken to ensure operator safety before it is returned to service. Enerpac is providing the safety audits at no charge to support their customers who have been affected by the recent floods.